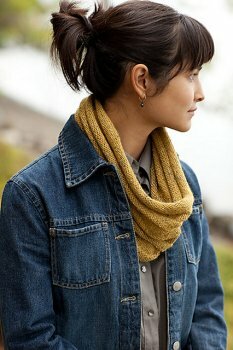 Taken from Churchmouse Classics: This cozy welted cowl is perfect for transitional season layering and awesome when paired with the Welted Fingerless Mitts! Size US 6- 16" circular needle (or size needed to obtain gauge), a US size 8 needle for binding off, a stitch marker, and a darning needle are required but not included. Finished Measurements: 24" x 11" after blocking.